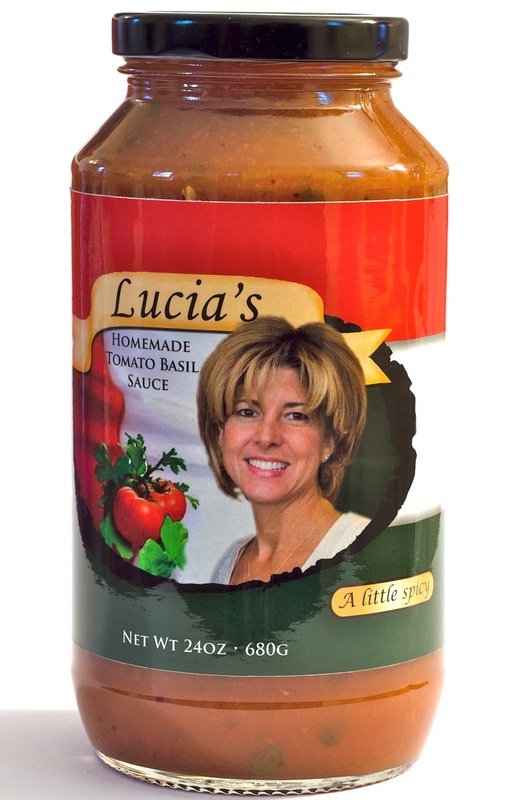 Need a jar of sauce right now? 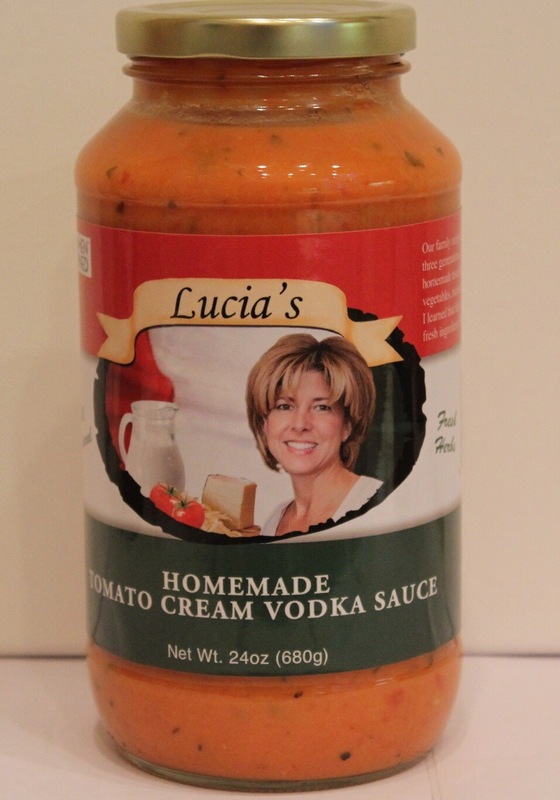 One Jar each of Lucia’s Mild, A Little Spicy and Creamy Vodka Sauce. I have been cooking since I was a little girl with my mom in the kitchen. By the age of twelve, I was preparing full meals for the whole family. My favorite childhood times were spent in the kitchen with mom. 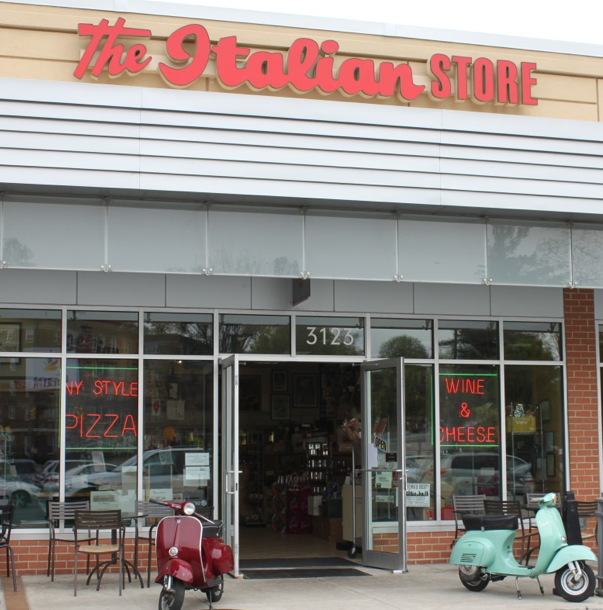 Growing up in Torino, Italy I learned a lot from my grandma as well. 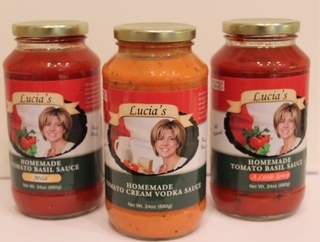 Over the years my friends and family have loved my simple tomato sauce and kept encouraging me to jar it and sell it. I finally decided to do it. 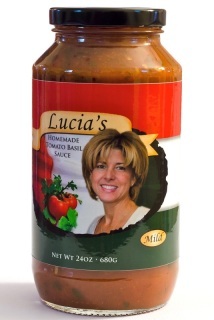 My sauce is made from fresh ingredients such as fresh onions, fresh garlic, fresh herbs. There are no preservatives and it is vegan. Simply reheat and put over your favorite pasta, meats, or veggies. Great in lasagna too! Buon appetito! ​Great news! You can purchase Lucia’s sauces at your local Giant, Whole Foods and Italian Stores. 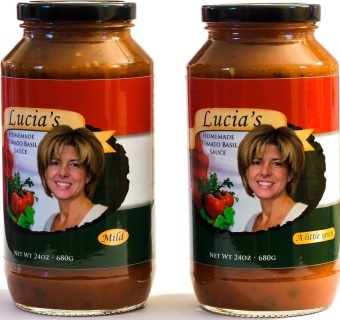 In 2015, Lucia's sauces went bi-coastal. Look for Lucia's sauces at your local Pavilions and other fine specialty stores in the Los Angeles/Orange County areas. Giant Foods in Virginia, Maryland, Pennsylvania, and Delaware!!! 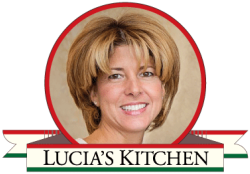 Enjoy a preview of Lucia’s two TV shows: Eating out with Lucia, local restaurant reviews and A Tavola, Lucia’s own cooking show.